Phosphorus is a naturally occurring substance which makes its way into lakes via atmospheric deposition (in the form of precipitation) and watershed runoff. Unfortunately, humans also often contribute high levels of this element to the watersheds adjacent to their property. The primary human sources are sewers, lawn fertilizers, and wastes containing phosphate-laden soaps. It is well known that phosphorus is the nutrient that limits algal production in most of Nova Scotia's lakes. When this nutrient is present in excess, nuisance quantities of algae may appear which decrease the aesthetic value of the lake. 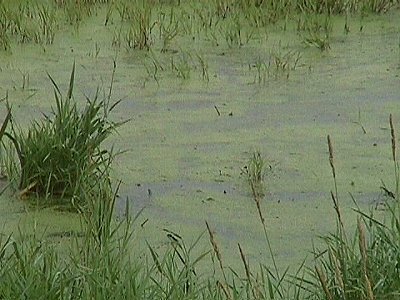 Algal blooms also lead to foul odors and poor visibility within the water column. Collectively, these conditions are the symptoms of eutrophication which equates to the aging process of a lake. 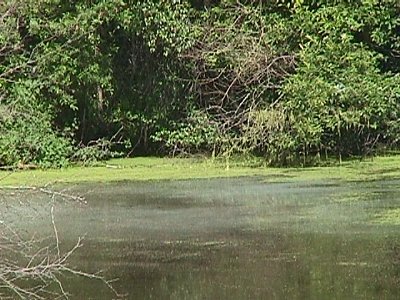 Although eutrophication takes thousands of years under natural conditions, humans can cause a lake to age in less decade.